The Clone Tool is one of the most powerful Tools provided with Admin Tools for ArcGIS Online. Did you know – Admin Tools Pro for ArcGIS Online does allow for the cloning of HOSTED (not registered) content to a duplicate user or to a new organization. What a perfect way (and time/money saver) to make a full replica or backup of your entire org! This tool creates brand new items, with its dependencies configured automatically, and no longer pointing to the original data source it was cloned from. This is a very useful tool for moving content into a new organization. The Clone tool is available in the Pro version of Admin Tools. Cloning is not to be confused with the “Copy” Tool – which creates a new item as a pointer to the original source. This tool is useful for multiple users all working on the same content. It is available in the basic version of Admin Tools. 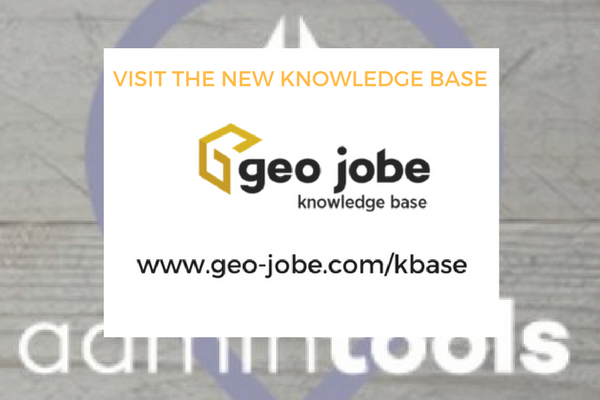 You can read more in this case study on how the College of Geographical Sciences (COGS) is using Admin Tools to assist in managing hundreds of student user accounts and more. Both origin and target accounts need to be “out-of-the-box” Admins for ArcGIS Online (custom roles are NOT supported for this operation). The size of your data in regards to credit consumption and overall time the operation will take. Larger hosted datasets will consume credits in the target organization once they are cloned and may cause the clone to appear to “hang” or stop working while it is processing the large datasets. Tiled data is only supported if the service has the corresponding Service Definition that was used to publish it. Moving tiled services without a Service Definition is currently not supported. Instructions on the best way to handle tiled data without a Service Definition can be provided, but it is not supported as part of a “one click” clone and will take a little preparation to accomplish the clone. Please note that in addition to traditional raster / tiled data types, this limitation also applies to hosted feature layers that are subsequently published as tiled layers. The relationship between your items can sometimes cause more data to move than initially realized. It is recommended to use the “View Item Dependencies” tool on any items that will be cloned so a full picture can be had of every item that will will be moved as part of a clone. Registered vs. Hosted Feature Layers are handled differently. 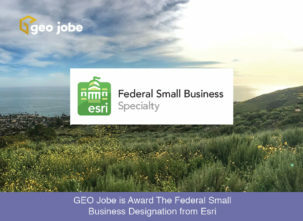 Please note that any registered services will still point back to the original source or ArcServer and hosted services will be recreated if they are part of your organization, but not if they come from an external or 3rd party source such as Esri basemaps or premium data. Any item with a dependency on custom templates or widgets in the developer version of the Web AppBuilder for ArcGIS will still point to the original web server that is hosting the custom code or template. Please ensure that the target organization has access to the custom templates or code required by any web applications being cloned. Any items that are cloned are owned by the account that performed the clone in the target. 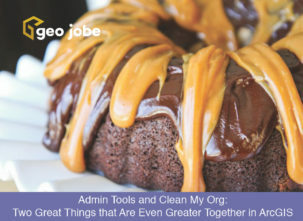 If your clone is for the purpose of mirroring an organization, or moving users between organization or portals, then please contact GEO Jobe for assistance on best practices to accomplish your goal. Vector Tiles, Survey 123 Content, and Operation Dashboards are not currently supported at this time. Cloning doesn’t currently support embedded photos at this time. Our Technical Support Expert Blake suggests that users refer to the Best Practices for Cloning article for assistance with your first cloning operation. Please take note, you will need an Admin Tools Pro or an Admin Tools for Portal license to your respective platforms for both the origin of the content and the destination where the content is migrating to. Having only one license for the destination OR the origin, or the Basic license of Admin Tools for ArcGIS Online, will not be sufficient to clone content from one platform to another. Not using Admin Tools for ArcGIS Online yet? We offer three versions of Admin Tools – Free, Pro and Portal. How Do I Install Admin Tools for Portal?